Took this shot in South Africa. 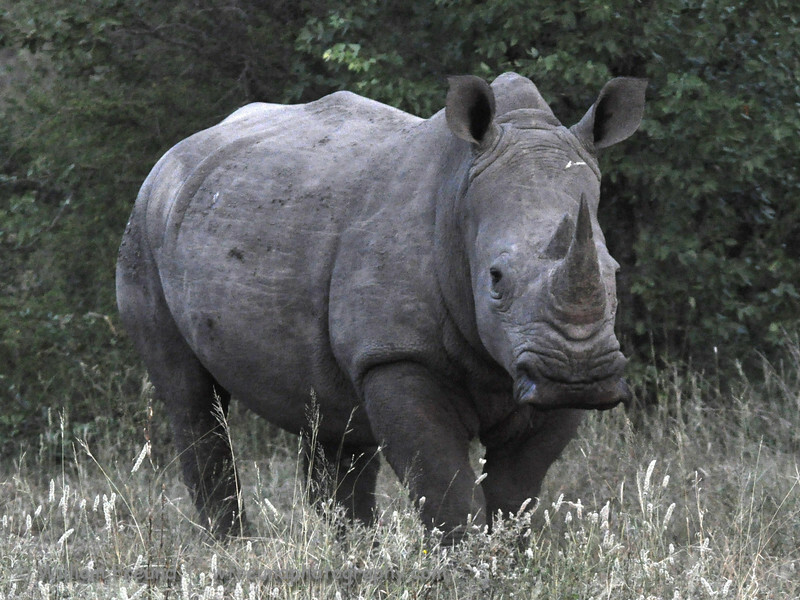 Rhinos are blind as a bat but have incredible hearing. We were not too far away from this one and he/she knew we were there but we were real quite and it couldn't figure out what we were, probably just saw a blob. The amazing thing is that they have no fear so when they see or hear something their instinct is to square off with you and they point that big horn at you and sometimes even charge. Amazing animals.